A tiny village in the English countryside saw extraordinary scenes Monday as police waded in to forcibly disperse a peaceful anti-fracking protest. 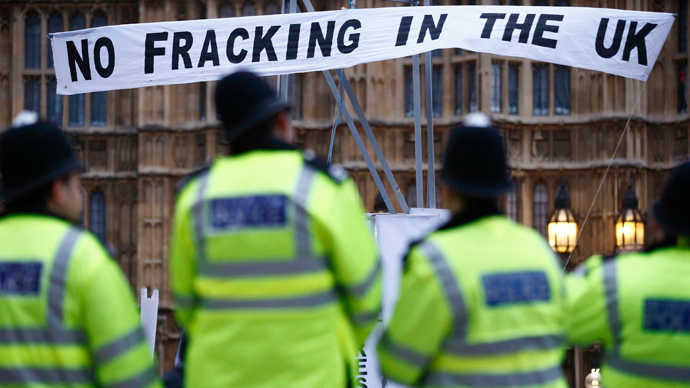 Hundreds of locals and eco-activists are protesting the UK government’s support for shale gas drilling. 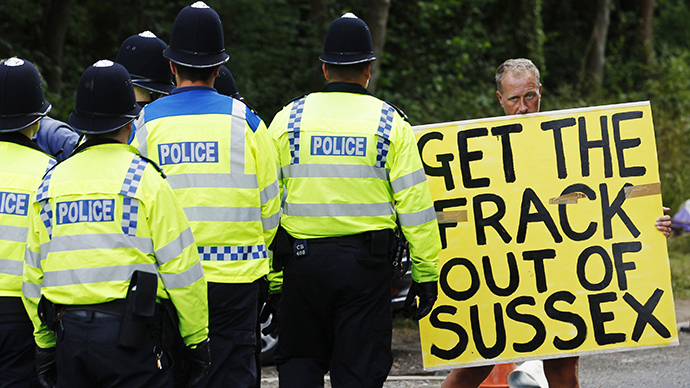 Around 200 anti-fracking protesters have been cleared by police outside an oil exploration site at the village of Balcombe in southern England. Some scuffles broke out after Sussex police served a notice under section 14 of the Public Order Act because they believed the protesters may cause disorder and damage to property. 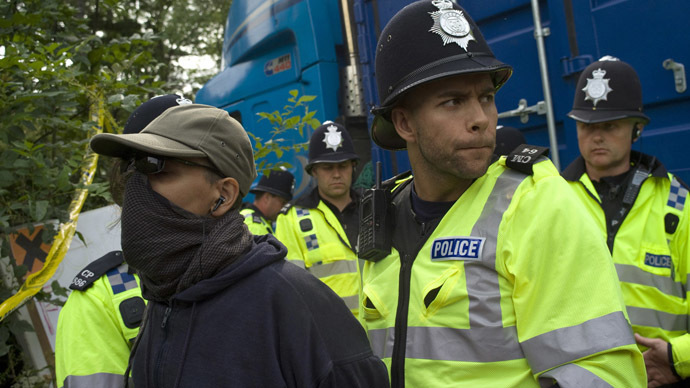 The police arrested at least a dozen protesters on Monday, including Green Party lawmaker Caroline Lucas. she told ITV news that she "took peaceful direct action only after exhausting every other means of protest". Also on Monday protesters broke into the offices of Caudrilla, the energy company carrying out the drilling, in Staffordshire in the Midlands and several demonstrators managed to get into the public relations firm Bell Potinger in London, which represents the group and six of them have been arrested. The Balcombe demonstrators had remained on the site Monday after around a thousand protesters descended on the village Sunday, in what were until today peaceful demonstrations. 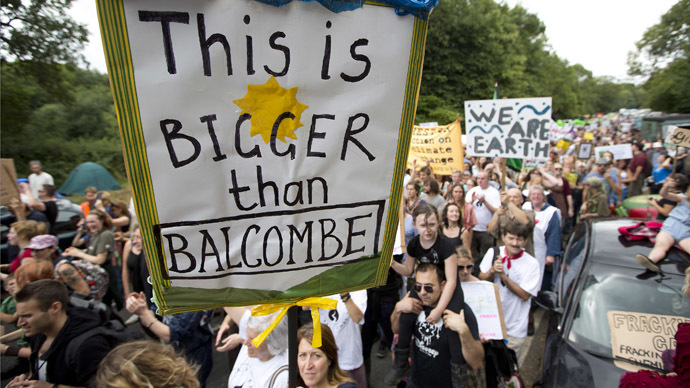 In the latest showdown, the angry residents of Balcombe village in West Sussex were joined by hundreds of activists from across the country Sunday for a rally against fracking at a local private site. The site, where energy firm Cuadrilla Resources suspended its drilling Friday due to the protests, has been cordoned off by police. RT’s Tesa Arcilla, reporting from the protesters camp next to the site, listened to local residents and campaigners – discovered that the activists had done their homework on the environment before drawing up their “Frack off!” banners. Protesters point to the dangerous example of the US, the worldwide leader in fracking, where the practice led to areas facing a dire water crisis. Hydraulic fracturing consumes vast amounts of water, and has led to the depletion of aquifers in a number of drought-prone states such as Arkansas, Colorado, New Mexico, Oklahoma, Texas, Utah and Wyoming. Ironically, the US experience is also cited by supporters of fracking, who have extolled the advantages of the drilling technique. “Even if we only see a fraction of the impact shale gas has had in America, we can expect to see lower energy prices in this country,” Prime Minister David Cameron wrote in an Op-Ed article published in The Daily Telegraph. “The huge benefits of shale gas outweigh any very minor changes to the landscape,” Cameron wrote, adding that British communities should not miss out on the promise by industry giants to pay £100,000 to every community near an exploratory well. If gas is found and fracking starts, neighborhoods will see 1 percent of the revenues going to local government budgets, the UK government says. Cuadrilla chairman Lord Browne, the former CEO of British energy giant BP, says fracking is about Britain becoming self-sufficient in energy. "This is about getting domestic resources. Domestic gas is more green than imported gas, and we need to explore as much domestic resource as we can," Reuters reported Lord Browne as saying. "It's right for our energy security, and, if done safely, we should pursue it." Despite the promises of cash and energy security, however, locals continue to think more of potential dangers than benefits. Their concern is shared by Andy Chyba, who is a candidate for the European Parliament from the UK Green Party. According to a June estimate by UK firm IGas, an estimated 4,810 cubic kilometers of gas could lie in the areas licensed for exploration in northern England. The technique of fracking has been used in the UK since the 1970s, but mostly at offshore sites. Criticism of fracking in the UK has grown rapidly since 2007, when Cuadrilla Resources, jointly owned by American, Australian and UK investors, was awarded a license for shale gas exploration in Lancashire, northern England. Since that time, it has been granted several more licenses, and has started carrying out test drilling at several sites, including the village of Balcombe. The technique of fracking involves toxic chemicals being lowered into kilometer-deep holes drilled in the ground to isolate gas and oil from shale. 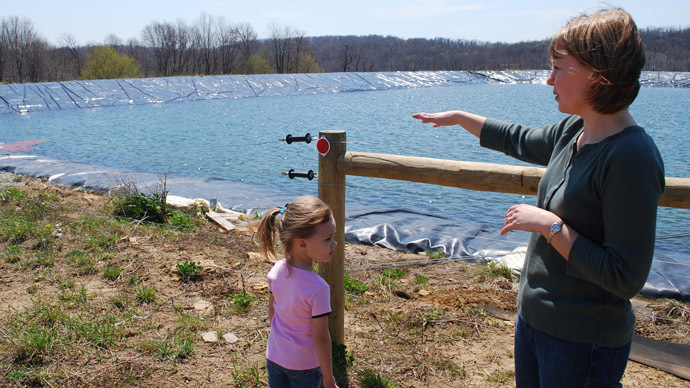 The toxic chemicals can then float into lakes and rivers or contaminate the ground. Fracking also produces a disproportionate amount of waste, including radioactive water, which then has to be dumped somewhere. 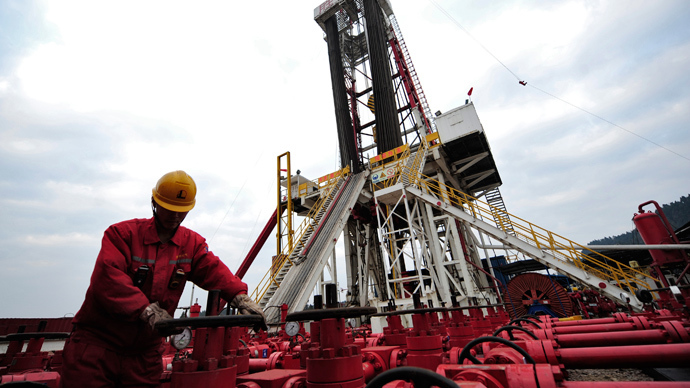 This summer has seen conflicting reports being issued in the US concerning fracking. A July study funded by the US Department of Energy argued that hydraulic fracturing had no effect on drinking water while research released the same month by Duke University found that household drinking water from wells near known fracking sites contained levels of methane six times greater than the average.